Here you can find a list of the book chapters that I have contributed to and in most cases links to the texts they are from. Dickinson, H (2016) From new public management to new public governance: the implications for a ‘new public service’ in Butcher, J & Gilchrist, D The three sector solution: delivering public policy in collaboration with no-for-profits and business. ANU Press, Canberra. Pp 41-60. Dickinson, H & Sullivan, H (2016) Collaboration as cultural performance: agency and efficacy. In Carey, G, Landvogt, K & Barraket, J. Creating and Implementing Public Policy: Cross-sectoral debates. Routledge. Pp. 207-222. Dickinson, H. & Nicholds, A. (2012) The outcomes of joint commissioning. In Glasby, J. Commissioning for health and well-being: an introduction. Policy Press, Bristol. Pp 209-224. Bovaird, T., Dickinson, H., Allen, K. (2012) New models of strategic commissioning. Glasby, J. Commissioning for health and well-being: an introduction Policy Press, Bristol. Pp. 19-42. Dickinson, H. & Glasby, J. (2011) Social Care. In Walshe, K. & Smith, J. Healthcare Management (second edition). Open University Press, Maidenhead. Pp. 257-274. Dickinson, H. & Sullivan, H. (2011) Strategic Collaboration. In Walshe, K. & Smith, J. Healthcare Management (second edition). Open University Press, Maidenhead. Pp. 536-555. Dickinson, H. (2011) Implementing Policy. In Glasby, J. Evidence, policy and practice: critical perspectives in health and social care. Policy Press, Bristol. Pp. 71-84. Dickinson H., Peck E., Durose J., & Wade E. (2009) The role of cultural performance in health care commissioning. Culture, climate and teams in Health Care Organisations. Palgrave Macmillan, Basingstoke. Pp. 196-207. Jöel M.-E. & Dickinson H. (2009) The economics of integrated care. 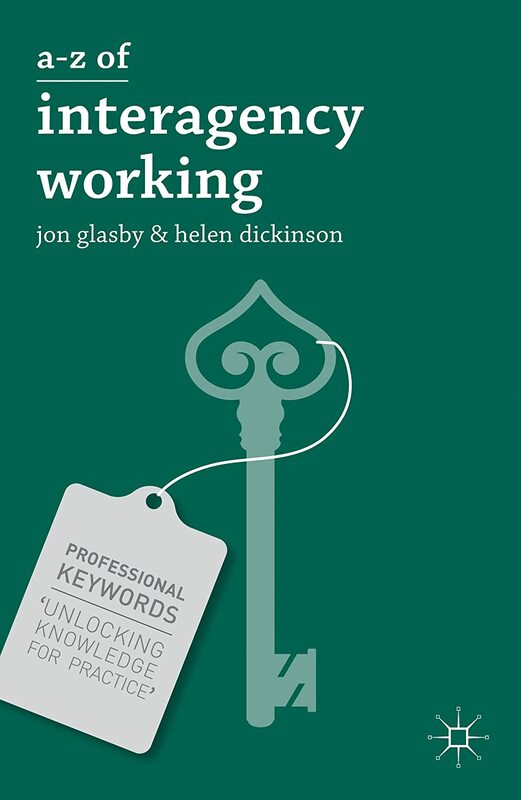 In J.Glasby and H.Dickinson (Eds) International perspectives on health and social care: partnership working in action. Wiley-Blackwell Oxford. Pp. 107-120. Peck E. & Dickinson H. (2009) Partnership working and organisational culture. 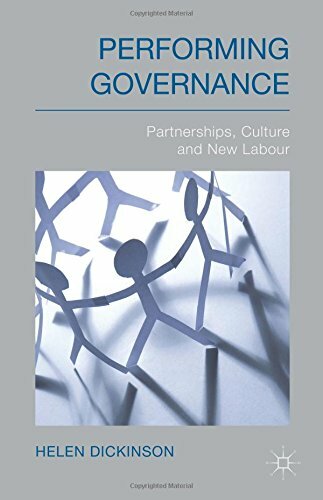 In J.Glasby and H.Dickinson (Eds) International perspectives on health and social care: partnership working in action. Wiley-Blackwell, Oxford. Pp. 10-26.